The Partnership to Eliminate Disparities in Infant Mortality Action Learning Collaborative (PEDIM ALC) is a national collaboration that includes five other states with a goal to reduce and eventually eliminate racial disparities in infant mortality. 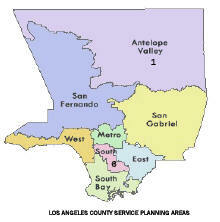 Los Angeles County (LAC) joined the collaboration in 2008 and has been a strong member ever since. The main focus of the PEDIM ALC is to enhance awareness among the community and health care providers that institutionalized racism impacts birth outcomes and infant health. To eliminate racial inequities contributing to infant mortality in Los Angeles County urban areas based on a life course perspective. To increase capacity at the community, State, and local levels to address the impact of racism on birth outcomes and infant health in urban areas of LAC. Develop quarterly briefs describing and addressing racism and its relationships to birth outcomes in LAC. Disseminate to key community partners and providers. Identify and distribute existing educational materials (videos, PowerPoints, articles, etc.) that relate to infant mortality and racism. Hold trainings and discussion groups for providers and the community in SPA 1 and 6. Design LAC-ALC website which will serve as a one point information center for LAC residents to inquire resources and best practices relating to infant mortality and undoing racism. Team Profiles from the Infant Mortality and Racism Action Learning Collaborative, a project of the Partnership to Eliminate Disparities in Infant Mortality.